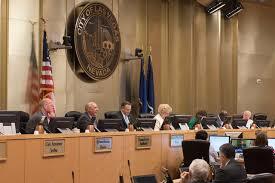 The City of Las Vegas had elections yesterday to elect the Mayor and City Counsels for three key wards of the city. I am happy to see that our Mayor Carolyn Goodman collected the majority of the votes, 22,316 of them. It was expected. Considering the number of candidates for Wards 1 and 3, I wonder if people don’t have the money to advertise properly or don’t want to be bothered with people calling them when they don’t even list a telephone number for concerned citizens to speak to them and ask them their opinion on important issues, so why are they running? He was one hundred percent right; in the old days people had the opportunity to meet the candidates, speak to them and feel first hand what the candidates were all about. People from both parties crossed the aisles to interact with those on the other side, and there were never bad feelings between them. In the old days candidates used to walk the neighborhoods, knock on doors, talk to people, and interact with the people that could give them the needed votes. Nowadays, you only hear the name and probably see a bunch of pictures of the candidate on social media (these days everything is social media) but there is no means of communication, not even a phone number to contact the person you probably think is worth your vote. That is the case of a young man, David Lopez, who was running for the city council Ward 3 position. I personally tried to contact him to hear on a one-on-one basis about his plans for the downtown district. On Facebook he posted a few pictures of himself, but not even a phone number as a contact. Olivia Diaz probably thought that since she was supported by U.S. Senator Catherine Cortes-Masto, and I don’t know who else, she could already sit in her own shell ignoring the people of the ward she was aspiring to represent. Ward 1 was no different, everyone was unknown, but not even the face of one of them was seen around the middle-class neighborhoods. I could bet that some of them visited Scotch Eighty with great pleasure. Now, speaking about Ward 1 — I have no clue who will represent that area in the near future, but until the day Lois Tarkanian hangs up her spurs for good, she is still responsible for the safety and protection of the people living in that area. Homeless people are already moving into residential areas of Ward 1, which eventually will grow to robberies, burglaries, drunkenness, assault and battery and only God knows what else. The least she could do at the time of departure, after years of doing nothing for the ward she represented, is to communicate with Metro Police and request better patrolling in the areas she never cared much about. This is not a matter of racism, as Ms. Tarkanian likes to claim by blaming others, this is a matter of security. There is a homeless corridor in Ward 3 that I am sure Ms. Olivia Diaz can handle. Ms. Tarkanian loves to call others racists, ignoring the fact that she and her family are racists themselves. If you don’t believe me ask the Tarkanians why they are moving out of town.